The swath of Texas that lies along the Gulf of Mexico is a popular region for visitors. In addition to the numerous natural attractions along the Texas Gulf Coast are some of the state's finest state parks. From beaches to historic sites, Texas State Parks in the Gulf Coast region are unique and varied. Sandwiched between the popular tourist towns Corpus Christi and Port Aransas on Padre Island, Mustang Island State Park offers visitors access to 5 miles of shoreline fronting the Gulf of Mexico. Camping, kayaking, fishing, surfing, swimming, birding, and beachcombing are all popular activities. The Mustang Island area is renowned for the number of sand dollars found along the tide line. Mustang Island State Park provides amenities for both day use and overnight visitors such as showers, restrooms, and shade structures. Galveston Island State Park was opened to the public in 1975. Since then, this 2,000 acre park on Galveston's west end has provided visitors with a location for an array of outdoor recreational activities, including swimming, fishing, bird watching, and camping. Campsite with water and electricity, a fish cleaning station, outdoor showers, two-lane boat ramp, and 4 miles of hiking/mounting biking trails are among the amenities within Galveston Island State Park. A mix of marsh and beach, Sea Rim State Park isn’t a typical beach destination. 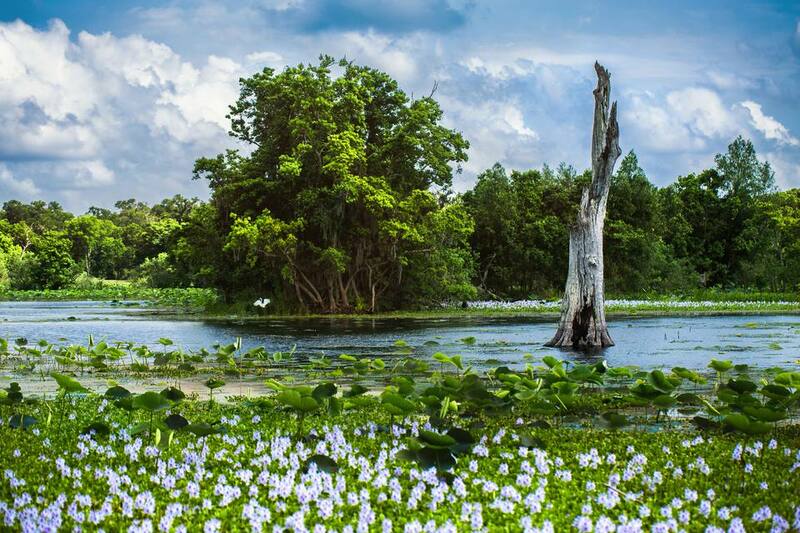 However, this state park, which is located just south of Beaumont/Port Arthur is a nature lover's delight. Bird-watchers and beach-goers often co-exist on this stretch of sand, which is the northern-most beach in Texas. Sea Rim State Park is comprised of two units - D. Roy Harrington Beach Unit and Marshlands Unit. Each of these units has their own distinct characteristics. The Beach Unit offers 2 miles of open beach access, which allows for primitive camping, as well as campsites with electric and water, restrooms with showers, picnic areas, two nature trails, observation decks, and beach access for fishing, swimming, hiking, shelling, bird watching and mountain biking. The Marshlands Unit is only accessible by boat. A boat ramp is available for canoes, kayaks and small boats. Primitive campsites are located throughout the marsh. The Matagorda Island Wildlife Management Area/State Park is a joint effort between USFWS and Texas Parks and Wildlife. Matagorda Island Wildlife Management Area/State Park is accessible by boat - either private or via the state park ferry. Located just a short distance outside of Houston, the San Jacinto Battlefield is one of Texas’ most significant, yet least recognizable historic sites. The Battle of San Jacinto, which took place on April 21, 1836, won Texas its independence from Mexico. The San Jacinto Monument, which stands 15 feet taller than the Washington Monument, was completed in 1939. The San Jacinto Museum of History is housed in the base of the monument. The San Jacinto Monument and Museum is open seven days a week, from 9 a.m. to 6 p.m.